Tyler Rea - Jook Wan Huen Wing Chun Books DVDs and Videos. 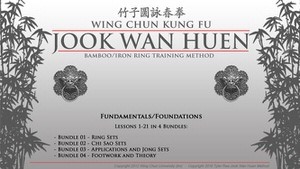 Bamboo Ring/Rattan Ring Wing Chun System. 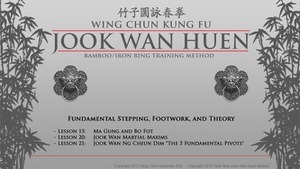 Sifu Tyler Rea is one of the only Sifus trained in the full Jook Wan Huen (Bamboo Ring) Wing Chun system. 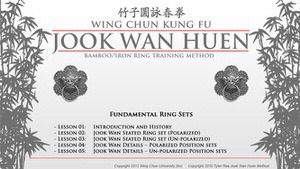 If you want to learn about the Rattan Rings used in Wing Chun, then look no further. Sifu Rea began his Martial training in 1983 with Kodokan Judo and Uechi Ryu Karate, and has since studied Hsing-I Chuan, Indonesian Pentjak Silat Tehnaga Bakti and Bukti Negara, the Wing Chun Kung Fu of both Yip Man method and Jook Wan Huen method, Northern Seven Star Mantis and Chu Southern Praying Mantis methods.